What's David Letterman going to do next? David Letterman can do just about anything now that he's retiring from "The Late Show." Or he can do... nothing. So what's it going to be? Letterman is making jokes about his future -- "Five years from now, a nurse will be feeding me rice cereal" -- but not giving up any facts. Not even his producers know for sure. "I don't think he knows," Letterman's longtime executive producer Rob Burnett said in an interview with CNNMoney. "I know that he has a very active mind," Burnett said. "He's got a lot to say about a million things. I hope he finds a venue for that, for all of us." 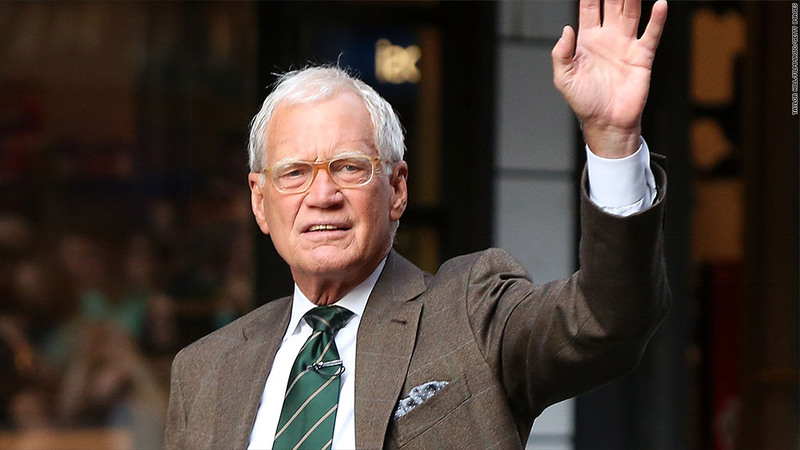 Letterman's production company, Worldwide Pants, will remain in operation for the time being, but its future is up to Letterman, and "we haven't really spoken about it," Burnett said. Conversations about the future have largely been tabled until after Wednesday's "Late Show" finale. Letterman, 68, has given very few interviews on the occasion of his retirement. Last month he told The New York Times that on Thursday morning, after the finale has aired, "I will be completely in the hands of my family." "I will be going, later in the month, to the Indianapolis 500," he said. "And then beyond that, for the first time since Harry's been alive, our summer schedule will not be dictated by me. It will be entirely dictated by what my son wants to do. And I think that's pretty good." Harry is 11 years old. What about a return to television in some form? Well, he pointed out that Jane Pauley, who co-hosted NBC's "Today" show in the 1980s, is now a correspondent for CBS's "Sunday Morning" program. "Perfect fit," Letterman said. "So I thought, by God, good for Jane. That's a lovely thing for her to have now. So maybe one day, something of that level will happen to me." Letterman granted his only TV interview about the finale to Pauley, and it aired last Sunday. Pauley asked him if he a saw a "vision" of himself in the future, and Letterman said yes, but declined to elaborate. "I can tell you the kind of feelings and emotions, I hope will come of this," he said. "And that I'm looking forward to. And I think that will be fairly easy to accomplish. Now getting back into television perhaps will not be as easy to accomplish." Some TV executives would surely beg to differ -- Letterman would be an instant ratings draw for any number of channels. But for now, Letterman isn't saying anything serious about what he might want to do next. At various points in his interview with Pauley, he remarked that "I doubt that anybody will ever see me again" after Wednesday's taping, and that after it airs "the dark cloud of never-ending depression will set in." Then he flashed that famous Letterman grin.